Do you have a broken or chipped windshield that needs repair? If you are looking for superior Bradenton windshield replacement and repair, you can rely on the trained and certified technicians at the Auto Glass Warehouse. With us, you do not have to worry about taking time off to bring your vehicle to a shop. Our technicians will come to you at your work, home or play without cramping your schedule. With us, a Bradenton windshield replacement takes approximately 1 hour. 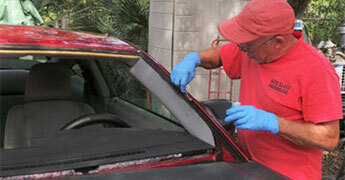 Then, we will have your windshield back in tip top safety condition, ready to be back on the road! Please be advised that your vehicle must sit undisturbed for at least 1 hour before driving so as to make sure it is completely adhered. All of the technicians at the Auto Glass Warehouse will always provide a safe, precise installation for all Bradenton windshield replacement and surrounding areas. To ensure this, our technicians are always up to date on all certifications and training. Another way that we ensure a high caliber for every Bradenton windshield replacement is through the products our technicians use. We supply each of our technicians with the highest quality urethane currently on the market. When ordering auto glass we use only suppliers who carry superior lines of windshields. Every windshield that is replaced by our technicians is always done with the utmost attention to detail and safety to ensure a proper fit and functionality. Upon replacement, your windshield will be restored to full structural integrity and factory specs. To have your quality windshield replacement done by a technician from the Auto Glass Warehouse, call our local Bradenton office number today at 941-556-5549. 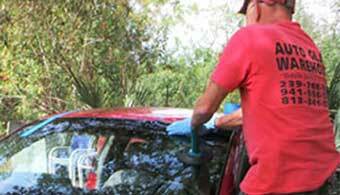 Our staff will be glad to assist you with setting appointments for your auto glass needs.